The team at Aristocrat love an animal-themed pokie, and Buffalo is no different. With 1024 ways to win built into the Xtra Reel Power technology, you’ll fancy yourself as the king of the jungle after scooping some of the big prizes on offer here. While there is only one bonus round to explore – which is a bit of a disappointment for seasoned pokie players – the good news is that it offers up to 27x rewards! And with a scatter and a wild to uncover, this is pokie action of the highest order. Wrapped up in Aristocrat’s trademark graphics and sounds, Buffalo might look a little tired and old-fashioned but there’s a good reason why it has endured both in land casinos and online: it’s just so darn good. As we’ve come to expect from Aristocrat pokies, the main game action might feel a little old school but there is plenty of payouts to keep you going; enhanced yet further by the inclusion of the fantastic 1,024 ways to win system. As you are probably aware by now, the playing cards make up the most basic element of pretty much all Aristocrat games, and Buffalo is no different. The first four – Nine, Ten, Jack and Queen – pay out at the same rates; that’s 5 coins, 20 coins and 100 coins for spinning three, four or five respectively. At the top of the food chain as far as the playing cards are concerned are the King and Ace, and this pair of big hitters rewards players with 10 coins for three, 50 coins for four and 100 coins for five. Of the main game symbols the Stag and the Wolf are first up, and these furry fellows will deliver prizes of 20 coins, 80 coins and 120 coins for the ability to spin three or more on one of your multitude of paylines. Next up, and catch them if you can, are the Cheetah and the Eagle. These two elusive characters pay rather hand some rewards if you can get your hands on three, four or five of them on adjacent reels, to the tune of 50 coins, 100 coins and 150 coins to be precise. And finally, at the head of this particular animal kingdom is the big old Buffalo himself. If you are lucky enough to sight this beast on your reels you will earn 10 coins just for merely spinning a pair, and then 50 coins for three, 100 coins for four and 300 coins for five. 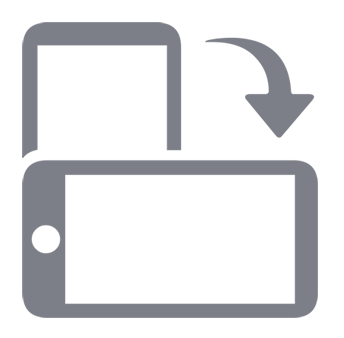 As you can tell, this is a good symbol to have around. No Aristocrat pokie would be complete without those special wilds and scatter symbols. The former - which in Buffalo is a beautiful Sunset - appears on reels 2, 3 and 4 only, and will substitute for all symbols apart from the scatter to help players create additional winning combinations. The scatter here is the Gold Coin, and this pays at 2x, 10x and 20x the total bet amount for spinning three, four or five on your reels respectively. But even better than that, it triggers the Buffalo Free Spins feature where plenty more gold coins are up for grabs. 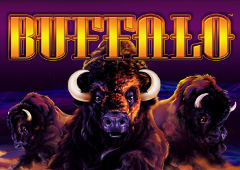 The Free Spins feature in Buffalo is one of the most lucrative around as far as Aristocrat are concerned, and rewards players in the first instance with 8, 15 or 20 free spins when three, four or five of the scatter symbol are spun. This is a nice start. Now picture the scene when a Sunset wild is spun during a free roll of the reels. Should this occur on reels 2, 3 or 4 then it will be a sight for sore eyes as any wins here will be subject to a 2x or 3x multiplier. And the good news is that the Buffalo feature can even be re-triggered too, and you will be handed five additional freebies if two or more scatters are revealed on a free spin. So that’s Buffalo then, the rewarding pokie game from Aristocrat. If you can get your claws into that Free Spins feature you can sit back and watch the prizes stack up for free.